Among all states in the country, Jammu and Kashmir has the highest Muslim population (68.3 per cent), followed by Assam (34.2 per cent) and West Bengal (27 per cent), according to the census data on the population of religious groups. The growth rate of Muslim population in the country was around 29 per cent between 1991 and 2001. At 24 per cent, the growth rate of Muslim population is higher than the national average of 18 per cent for the decade (2001-11). 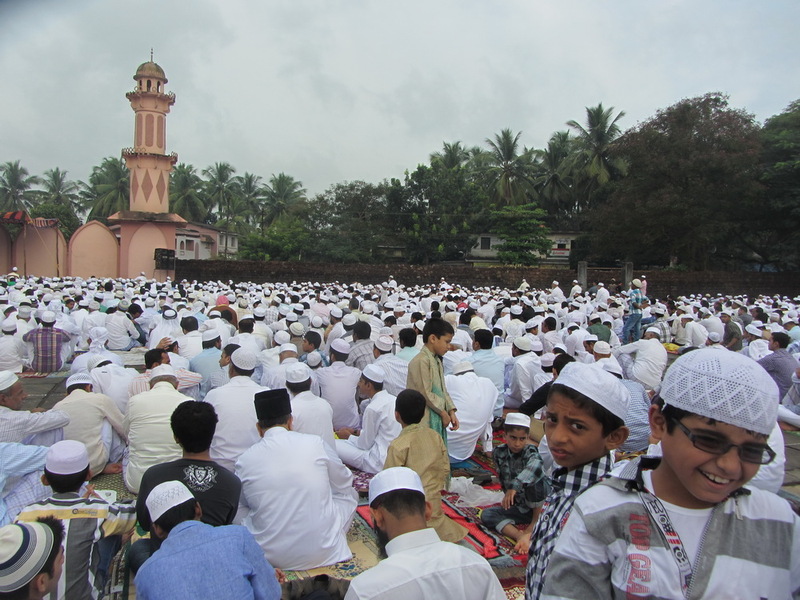 The most rapid rise in the share of Muslims in the total population was witnessed in Assam. Muslims constituted 30.9 per cent of the state’s population in 2001 and it has risen to 34.2 per cent a decade later. Assam has been facing the problem of illegal immigration from Bangladeshi for last three decades. A Home Ministry spokesperson said the data is still being compiled by the Registrar General of Census and will be released officially shortly. Manipur is the only state where the percentage of their population has decreased — from 8.8 per cent to 8.4 per cent. West Bengal, another state where illegal immigration from Bangladesh has been an issue, has also seen a rise in Muslim population from 25.2 per cent in 2001 to 27 per cent in 2011. It is a growth of 1.8 percentage points, more that double the national average for Muslim population (.8 per cent). Uttarakhand has also seen rise in the share of Muslim population from 11.9 per cent to 13.9 per cent, a growth of 2 percentage points, between 2001 and 2011. Other states with a significant rise in the share of Muslims in the total population as per the 2011 census were Kerala (from 24.7 per cent to 26.6 per cent), Goa (6.8 per cent to 8.4 per cent), Jammu and Kashmir (67 per cent to 68.3 per cent), Haryana (5.8 per cent to 7 per cent) and Delhi (11.7 per cent to 12.9 per cent). The Registrar General and Census Commissioner, under the Home Ministry, had compiled the data by March 2014, but the previous UPA government held back the release. Home Minister Rajnath Singh yesterday said the data could be released soon. Among the Union Territories, Lakshadweep has the highest Muslim population — 96.2 per cent. Such statistics, experts said, is released within three years of data collection and being 2015, that time-limit has already been exceeded. The last time religion-based data was released in the country was in 2004, which was a record of figures till 2001. This entry was posted in Asia Pacific and tagged Indian Population, Muslim Majority areas, muslim population, Muslim population in India, Muslims, total population. Bookmark the permalink.